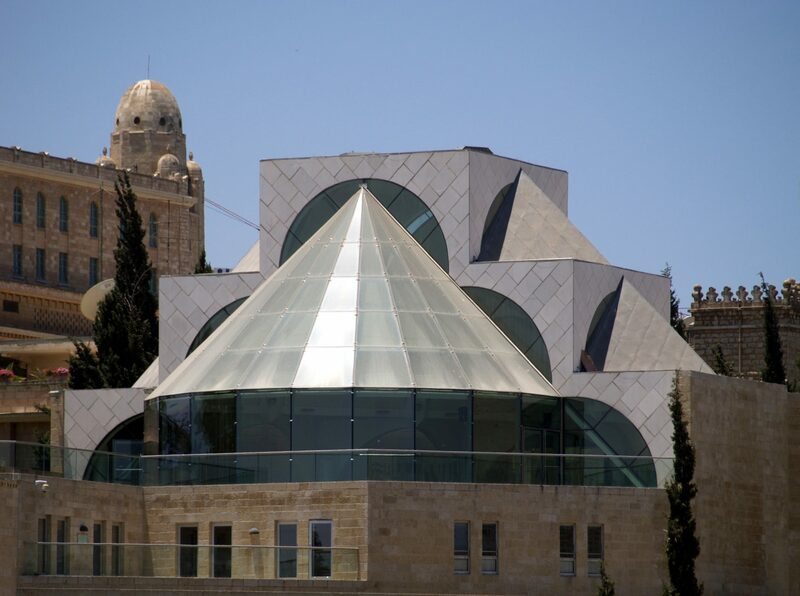 Beit Shmuel-Mercaz Shimshon, the Jerusalem headquarters of the Reform Movement in Israel. Jaime Silva via Flickr. ON MAY 14TH, Donald Trump moved the U.S. embassy from Tel Aviv to Jerusalem, a unilateral action that further entrenched the Israeli occupation of Palestinian lands. At the same time, just 60 miles away in Gaza, Israeli soldiers opened fire on Palestinian protesters, killing over 60 and wounding thousands; more than 100 Palestinians have been killed and tens of thousands wounded since March during largely nonviolent protests. This week, we have seen Hamas and Israel exchange rockets and air strikes, another reminder of the violent status-quo for both Israelis and Palestinians. The recent attacks on Palestinian protesters illustrate the reality of the occupation, a system of violence and separation by which Israel denies Palestinians civil, political, and economic rights. We are writing as current members and alumni of the Union for Reform Judaism, as current and past North American Federation of Temple Youth regional board members, and as participants of many Reform summer camps and Israel programs. Growing up in the Reform Movement, we have been taught that Judaism and social justice are deeply intertwined, and we have taken pride in the social justice work that we’ve done in Jewish spaces. We have learned about the Jewish values of tikkun olam (repairing the world), and b’tzelem elohim (that all people are created in the image of G-d). These values were nurtured through “mitzvah projects,” interfaith dialogue, and Jewish learning in our summer camps and synagogues. As leaders in NFTY, we have appreciated being part of a Jewish community that allows young people, women, and queer people to lead the way, and where we have been taught to think deeply and critically about the world around us. As current regional board members and alumni, we have a strong sense of pride when we see NFTY students mobilizing around the March for Our Lives and other progressive causes. From standing up for women’s rights by supporting Women of the Wall, to encouraging young people to take political action through the Religious Action Center, the actions of the Reform Movement show that that we can, and must, continue to be a strong voice for progressive Jewish values. But while the URJ has a deeply important role in the landscape of the American Jewish community, we know that we cannot truly claim to show up for social justice without fighting for freedom and dignity for Palestinians. We know the power of our community to mobilize around important issues, but we also have seen the ways that our progressive values get checked at the door when it comes to Israel/Palestine. It saddens us to remember things like “Israeli army day” at camp, when we pretended to be soldiers for fun, without really understanding what the soldiers in the IDF do to maintain control over Palestinians. Some of us went further, learning to shoot assault rifles at human shaped targets in Gadna, an Israeli military boot camp simulation for Jewish teens. It is disappointing to think about how, in our progressive Jewish spaces, we learned about Israel on countless occasions, without ever learning about the occupation. It saddens us that our institutions make excuses when unarmed Palestinians are shot dead, when Palestinian homes are demolished by the IDF, and the countless other ways in which the occupation rears its ugly head. The Reform Movement and Rabbi Rick Jacobs published one official statement on the embassy move, and a separate statement on the deaths of Gazan protesters. In his remarks, Rabbi Jacobs applauded the opening of what should be called the Embassy of Occupation in Jerusalem, and elided the role of the IDF in the deaths of Gazan protesters. As young leaders in our communities, we are horrified at the violence caused by the occupation, and we are disappointed that our institutions celebrated the opening of the Embassy alongside racist and antisemitic Evangelical pastors, far right Jewish leaders, and the corrupt and authoritarian duo of Benjamin Netanyahu and Donald Trump. It is with a deep love for our community and a belief that our morals and values call us to take action in this moment that we invite the leadership of the Reform Movement to join us in condemning the violence in Gaza, the embassy move, and the occupation. Just as the Reform Movement has led the way in the fight for social justice, we know that the Reform movement can lead the way for American Jews in condemning the occupation. If we do not offer bold and powerful action, we are missing an opportunity for our community to stand on the side of freedom and dignity for all people, and we are betraying the values that our tradition taught us. We represent a growing movement that emphasizes progressive Jewish values and tradition. And we are not alone—hundreds of other young Reform Jews have joined us to voice their outrage. As past and future leaders of the Reform Movement, we invite our institutions and its members to join us as we grieve lost lives, educate ourselves, and end our community’s support for the occupation. IfNotNow is a movement to end the American Jewish community’s support for the occupation.